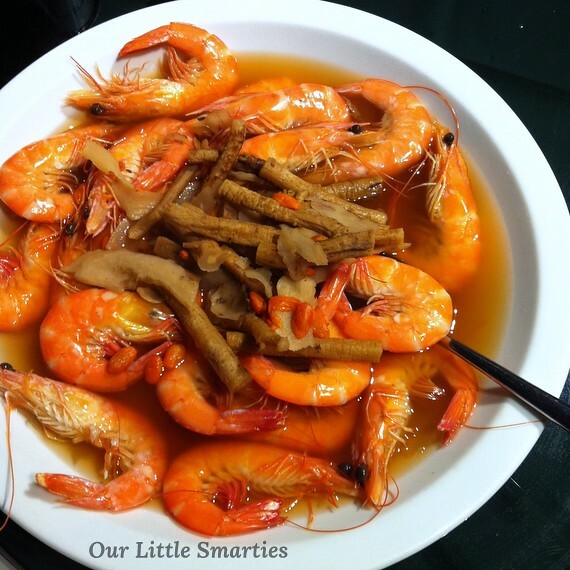 Drunken Prawns served with Herbal Soup, from Tung Lok Seafood. The prawns are springy, fresh and succulent. The herbal soup is nice and tasty. This dish is always my favourite!